Preparatory work: NB! To join this course, you must complete the preparatory task found here before arrival (about one week’s effort). In this course the students will learn statistical and machine learning methods that are widely used in medical bioinformatics today. 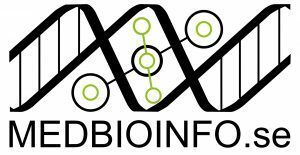 This course is organised by MedBioInfo, the Swedish national graduate school in Medical Bioinformatics. We have a few seats available for NORBIS members, and you may now apply for a seat and travel grant to attend the course, here by May 20. You may view all courses provided by MedBioInfo here.